Members of Canadian art-rock band Women return as Viet Cong on the Jagjaguwar label, Getintothis‘ Paul Higham gives the lowdown. From the ashes of Calgary-based art-rockers Women have risen Viet Cong the new band of bassist Matt Flegel and drummer Mike Wallace. 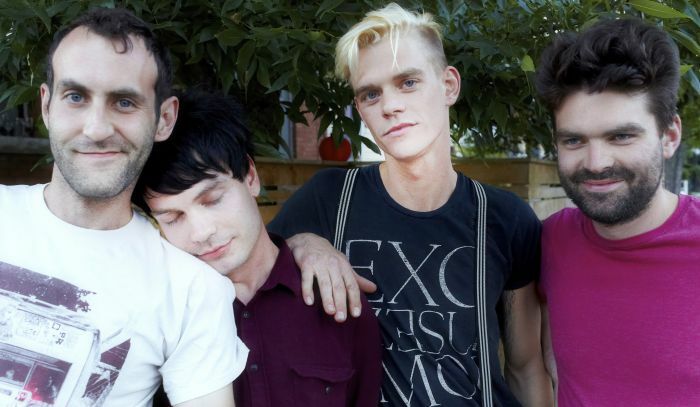 Viet Cong have an album out in January next year and will play a date at Manchester’s Deaf Institute on 5 February 2015. Women emerged with a big splash in 2008 with their Chad VanGaalen-produced self-titled debut album. Released on Flemish Eye Records, the album was well-received marrying the sun-tinged melodies of The Beach Boys with something altogether darker in tone and atmosphere. Women imploded not long after the release of their sophomore effort, Public Strain amidst rumours of an internecine conflict on on-stage fights. While denied, the band went on an indefinite hiatus with any hopes of a comeback being dashed by the unfortunate and tragic death in his sleep of guitarist Christopher Reimer in February 2012. Viet Cong display the similar restless energy and boundless creativity of their former band. Their sound straddles eras and genres. Post-punk vocals and 60s sounding psychedelia blend with dystopian soundscapes that draw you in and take you on an aural voyage. Members of Women toured as Chad VanGaalen’s backing band and his influence does loom large together with the weirdness of someone like Clinic. As a taster of the forthcoming album (to be released by Jagjaguwar) a preview track, Continental Shelf has been released on the label’s SoundCloud. If the rest of the record sounds half as good as this it promises to be something really special indeed.